I love being a Fort Worth Zoo member. I stopped by after ballet to see if Baby Bowie was out… now I drive up to the gate, show them my card and they wave me through then I give them my card at the zoo entrance.. They’re all getting to know me .. I feel like a Zoo VIP! I only see them when they are out in the public pen (or whatever it’s called) and I still haven’t seen Bowie and Bluebonnet yet. I guess it seems that Asian elephant babies have to be watched for the first month because mortality can be low for them. Mother baby is very important for both the baby and mother. 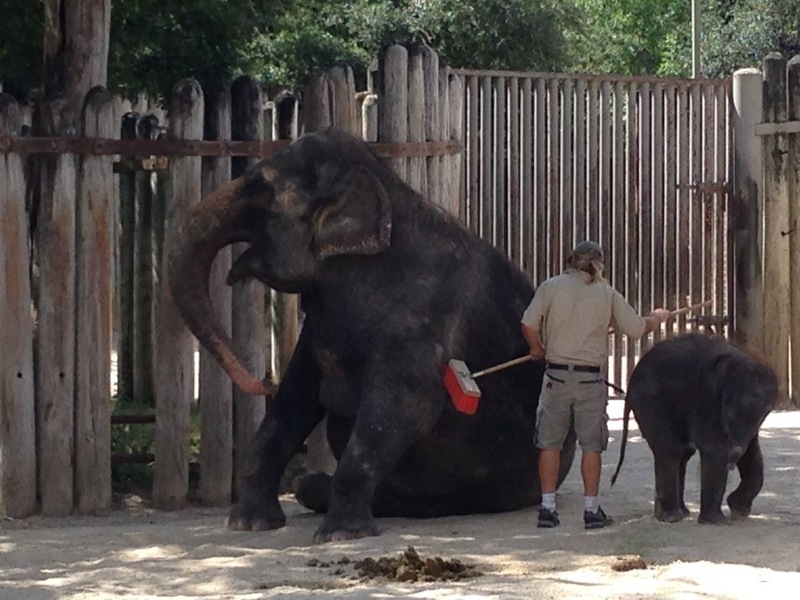 Now with Bowie, We have 3 generations off elephants at our zoo which mimics how they live in the wild. Rasha, spends a lot of time dusting herself which helps cool them and clean off insects. Belle is always by her side, she walks In and out of Rasha’s legs while Rasha eats or dusts herself, she sometimes nudges Belle with her trunk and Belle nudges her mom with hers and she seems to smile…. If belle wanders off, Rasha follows so belle is never far from her. I’ll run over this morning to see if Bowie is out yet, but I have a small suspicion that he won’t be out yet… They keep talking about him and his mom Bluebonnet having their bonding time. It’s a little more important for bluebonnet because she’s a first time mom. 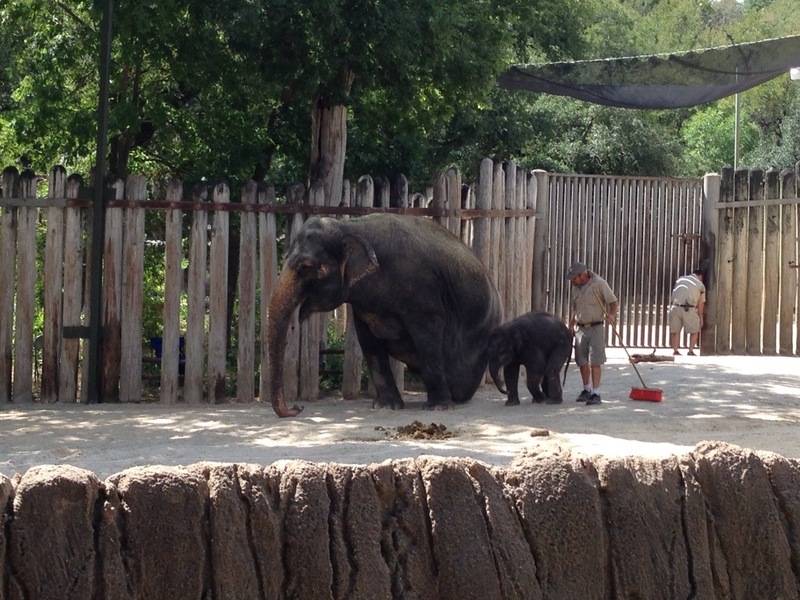 Rasha was a mom Before belle… She birthed Bluebonnet at the Fort Worth Zoo and that’s where the 3 generations comes in. Belle’s dad is Groucho, but they are doing some genetic testing to find out who is Bowie’s dad, they are sure though that it’s not Groucho. Yesterday I was watching Casey (the one tusked male elephant…) play in the pool and waterfall. He was having so much fun with it.